I can hear the jokes rolling in…but, seriously. If you know me, or have been following my blog, you know that I LOVE animals. November is Adopt a Senior Pet Month. I am a big fan of the ASPCA and the work they do to help animals and promote animal rights. 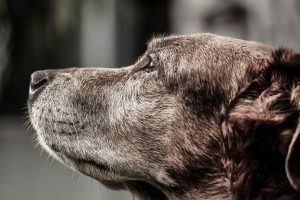 They wrote an article on adopting senior pets. It reminds us that the old ones need love too. In a lot of cases, there is no house training to do, you can leave them unattended and not worry they will get into things they shouldn’t, and you will probably already know if they are going to get along with your family members, including other pets. The other thing to consider is that they are probably much lazier! If you are looking for a pet that will sit next to you while you binge on the latest Netflix series, chances are, an older one is a great choice for you. Now, the elephant in the room is, yes, you likely won’t have as many years with them as you would if you chose a younger pet so I get it, it’s not for the faint at heart. 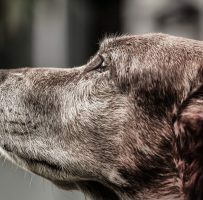 But let’s face it, most of us will outlive the pets we currently have so owning a pet at all can be heartbreaking when that day finally approaches. I mean, I’m getting teary-eyed just thinking about it, so let’s move on. “I thought you were a Realtor? What does this have to do with real estate?” you ask. Well, let me tell you. Just like animals, new houses often seem to get more love than older ones. People assume they need less work, they have some warranties still in place, and they still look shiny. We Realtors know that no house is without its set of quirks and there is almost always items that need to be fixed, even in new construction. So what about the older home? The one with the mature landscaping and creaks in the floor. The one with a little a little work that will need to be done. 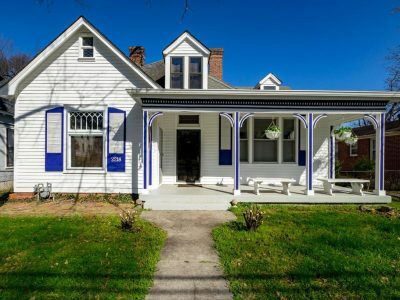 Well, it could be registered as a historic home. It may mean that you are getting character that no new home could ever replicate, even with an unlimited budget. You may find an older home that has already had its “kinks” worked out. A previous home owner may have put all new plumbing, electric, and mechanicals in. Most of the settling may already be done so you may deal with far less nail pops and settlement cracks. You’ve probably heard the expression, “they just don’t make things like they used to.” Well, this applies to some houses, as well, so you may be getting a much sturdier, better built home if you choose an older one. Lastly, you may save money on an older home because a lot of buyers are drawn to the shiny and new. With pets and with houses, you need to do your research ahead of time. Don’t rush into either one. These are very big investments, both emotionally, and financially and you need to be responsible and be ready to take on anything that comes along. In my opinion, no house is a home without a pet so if you want to talk about pets or houses, I am all ears.